The grinning gas station attendant from The Andy Griffith Show know to all those who watched as Goober Pyle, has died. 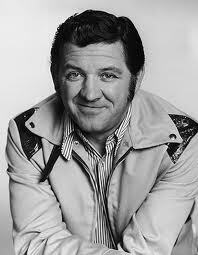 George Lindsey, 83, was also for his role on the long running Hee Haw. Lindsey died, said a Nashville funeral home, from a brief illness. Lindsey became famous for his role of Goober the gas station attendant who always wore a beanie on The Andy Griffith Show between 1964 and 1968 and the successor to the show Mayberry RFD between 1968 and 1971. On Hee Haw from the 1971 season through its last year of production in 1992, Lindsey played Goober, the happy go lucky character. He started in The Andy Griffith Show in 1964 after Gomer Pyle, played by Jim Nabors, left the show. Lindsey’s character Goober was mentioned in passing while Nabors was on the show and he replaced Nabors as Gomer Pyle’s cousin. Even though most knew him as Goober, the actor also played in other roles over his long career in TV. In his early years, he often played the heavy and once even shot Gunsmoke’s Matt Dillon. Other credits in TV included appearances on MASH, CHIPS, The Real McCoys, Rifleman, Love American Style as well as many others.